If you qualify for a senior meal at Denny’s (like me) you probably remember the sitcom Mork & Mindy that debuted in the late 70s. You may recall that Mork was an alien from the planet Ork. The unique thing about Orkans is they aged backward, they are born old and get physically younger with time. Wouldn’t it be nice if RVers aged like Orkans? Think about it—when many of us began RVing we were young, energetic and physically able to take on about any adventure. However, time, resources and responsibilities (kids, work, etc) has kept us from tackling larger adventures leaving us to enjoy the low hanging fruit (short and easy hikes/rides). Now that many of us are approaching geezerdom (myself included), we have the time and resources to commit to larger adventures during our travels but may not have the physical stamina required to do so. Since we have already done the easier adventures in our earlier years, what adventures are left? Sitting in a rocking chair under our patio awning? Luckily for us, electric pedal assist bikes (aka e-bikes) are here to save the day! With the advancements in lithium battery technology in recent years, the sales of e-bikes are booming. 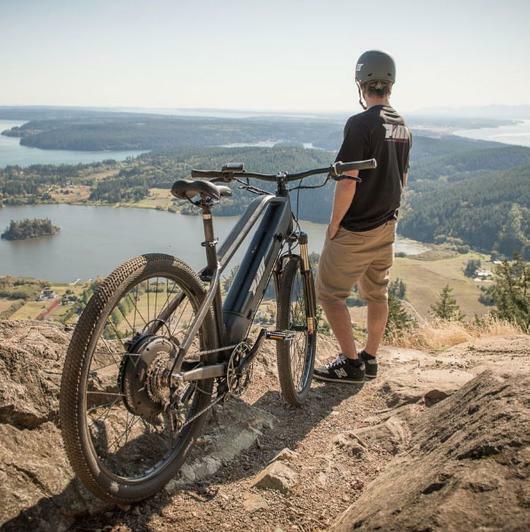 While most advertisements depict the younger crowd utilizing e-bikes, aging RVers need to take note, as e-bikes serve as a way to flatten hills, reduce grades, and lengthen the distance as to how far one can pedal during a daylong adventure. 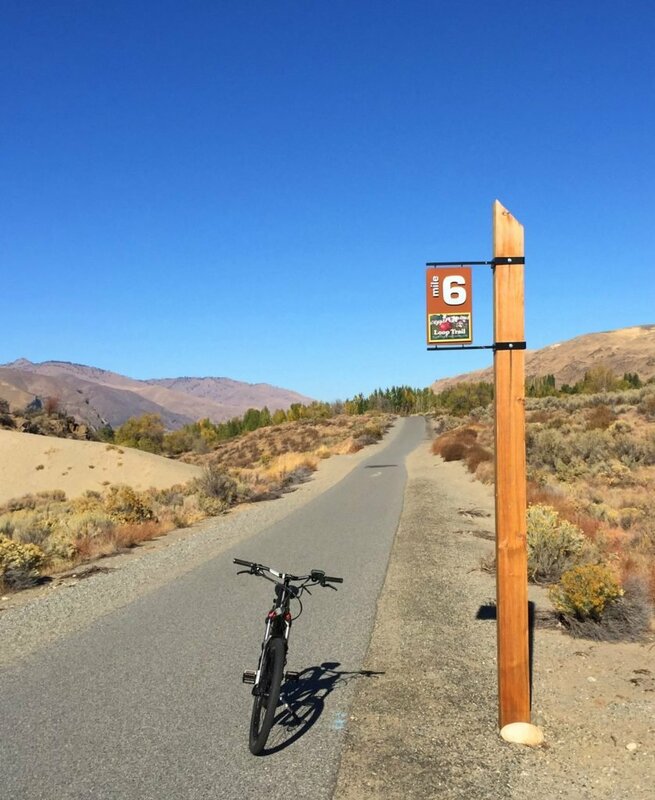 I once again had the opportunity to borrow a couple of PIM e-bikes and quickly put my sites on a popular loop trail I had wanted to mark off my “to-do” list for years. We hadn’t attempted it previously, as I wasn’t sure my wife and I were up for the tasks on regular bikes (or on foot) since it is ten miles in length and contains a couple of areas with 6% grades. Nothing would be more embarrassing than getting halfway around the loop and finding we didn’t have the endurance to get back to the RV and needing to call for help! Even though it was a warm, sunny day and some of the trail lacked shade, we enjoyed a comfortable ride around the loop, didn’t have to get off and walk the bikes up the hills, and we appreciated the peace of mind that the bikes could get us back to the RV even if our legs couldn’t! I really encourage older RVers to seize the opportunity to get back out there and tackle those adventures they had to forgo in their early years with an e-bike. Just think of an e-bike as a magic carpet that can whisk you away to that special place! Know where you can ride. Under the current Federal law, any e-bike with a 750-Watt (1 hp) or lower motor that stops providing power beyond 20 mph is legally considered the same as a normal bicycle. 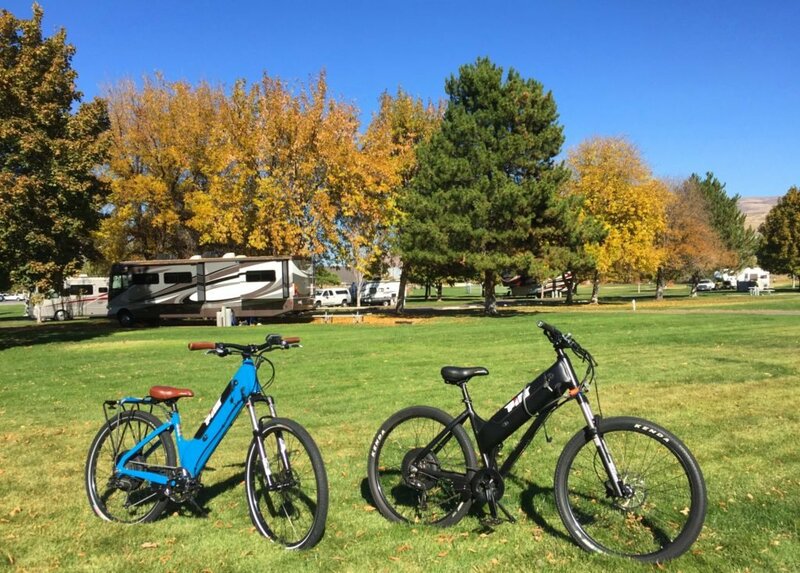 Therefore, electric bikes are allowed in most campgrounds and RV parks allowing you to ride from your RV to the multiple use non-motorized trails of your choosing. One of the few places you will find them prohibited is single track mountain bike trails that serious mountain bikers utilize. Motorhome users may find that an e-bike is a great alternative to a dinghy. They can be ridden almost anywhere and there are no fees to park them in the city. E-bikes are a great gift idea for the aging RVer in your family. I am told PIM will ship! RAD Power Bikes are a great choice also, and have about 20 miles range on a charge. Run a charging line to your bike rack or bring the batteries inside your RV for charging or security. We rv and have Pedego Interceptors. Once we get to a campground, we use our bikes to go everywhere. We usually stay in one place 4-7 days, then move on. We stop for groceries, etc. between campgrounds. If a place of interest requires highway driving, we go between campgrounds in the rv. Last winter, we stayed in 20 different places in Florida in 10 weeks. This year we’ll be gone 12 weeks and only 2 camogrounds will be repeats. We would not be doing any of this if not for our ebikes. The best investment we ever made!